Singapore has lots of spanking new malls... every other street has one with all the same stores. 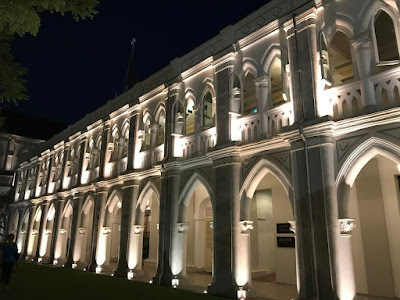 But there are some interesting heritage buildings and one of them is Chijmes, pronounced "Chimes" in the downtown area that was only minutes from my tiny hotel. It was founded in 1852 by Father Jean-Marie Beurel, who wanted to start a school in Singapore, and later it was taken over by nuns who ran a school for girls, Convent of the Holy Infant Jesus. 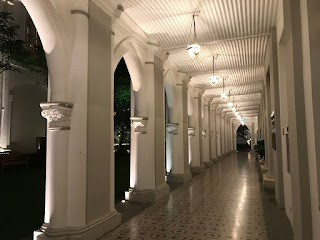 Then in 1933 it was known as Saint Nicholas Girls' School; 50 years later the school was moved to another location and the chapel was deconsecrated. So for some people of a certain generation, it was a Catholic school they attended. 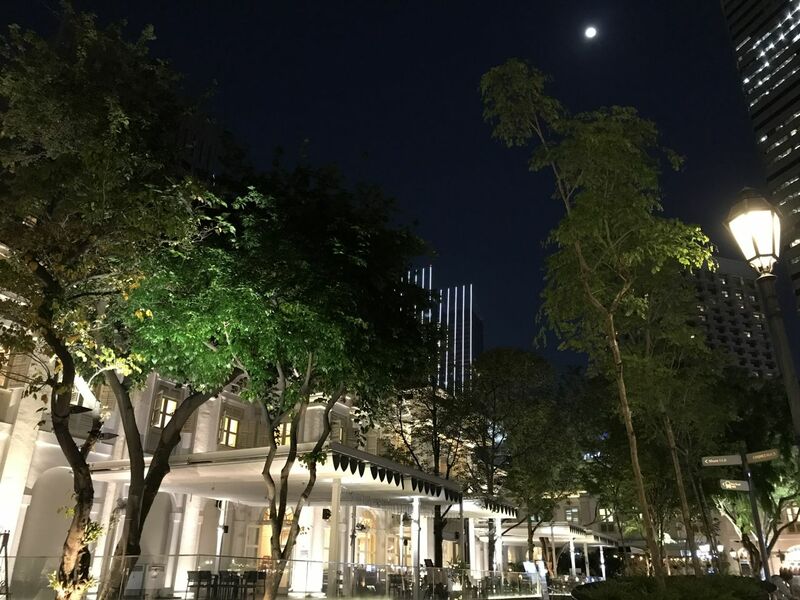 But in 1990 the building complex that takes up one city block was put up for sale and from 1991 it underwent five years of conservation and restoration work and now features many restaurants, bars and even a massage place. For former students it's a shock to see the place where they went to school become a place for people to dine and drink alcohol, but for many of us it's an beautiful complex that's being used in a fun way. This is where Lei Garden is! Imagine having dim sum there!